On this page, we will guide you through everything you need to know about how you can buy, sell, and store cryptocurrencies with digital currency wallets. We will go into detail about how the wallets work, the safety measures used, and how you can trade cryptocurrencies on your mobile phone. Our guide is a comprehensive introduction to everything related to cryptocurrency wallets in all shapes and forms. 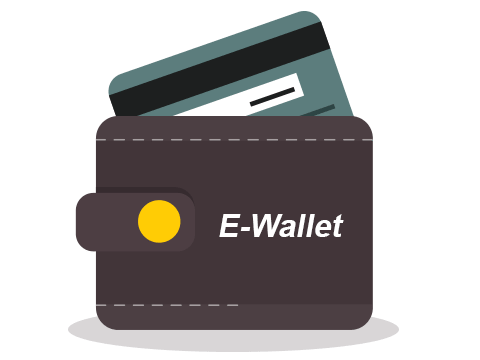 To give you a greater understanding of how this concept was developed we will start by explaining what an e-wallet is since this is what inspired many cryptocurrency wallets. Are you looking for a wallet? We spend a lot of our time reviewing different products to help you as a customer find the best options. Below you’ll find a list of our favorite options as well as direct links to our detailed reviews about the different wallets. An e-wallet, or electronic wallet, is a service that’s used to conduct trades, transactions, and e-shopping online. E-wallets were intended to be used to buy and sell products and services online. They were created to offer a substitute for regular online transfers that were often, and still are, associated with long waiting times and extra fees. The most famous e-wallet of all time is PayPal, a payment service that has dominated the market for many years. 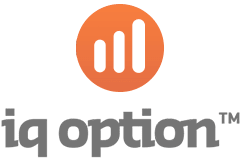 There are also a few other options that have grown in popularity over the last few years such as Skrill and Neteller. Unfortunately, all of those options are limited to regular fiat money and can’t be used for cryptocurrencies. If you want to buy and store cryptocurrencies, you will have to use an e-wallet that has been specifically designed to handle digital currencies – a cryptocurrency wallet. At first glance, e-wallets and wallets for cryptocurrencies can seem very similar but as soon as you start looking closer you’ll find several major differences. First off, wallets for cryptocurrencies are not limited to the internet and can be downloaded to your computer as a software or can even exist in physical shape as hardware. Secondly, a lot of digital currency wallets are developed for storage and not so much for trading. Besides that, the two types of wallets work similarly. You use your wallet to store and protect your cryptocurrencies but can also use them to buy and sell products and services online and in real life. Before we continue we need to clarify something: even though all cryptocurrencies are bought and sold online, it doesn’t mean you have to store them online. In fact, storing digital currencies online is considered risky by many. With that said, digital wallets are one of the most popular ways of storing cryptocurrencies, but there are several other practical solutions. Storing cryptocurrencies in software is the most common method and the technique that most people opt for when they have smaller amounts of cryptocurrencies. Software wallets are available online, downloaded to your computer, or installed as an application on your smartphone. This is a practical way of storing digital currencies that allows you to access them anywhere you are. Often, the software comes with features that let you use your currencies to pay for products. Store cryptocurrencies online – This is the easiest solution if you don’t want to mine your own digital currencies and if you’re not planning to invest large sums of money in them. It is a practical solution that only requires you to set up an account online. However, storing cryptocurrencies online is not by any stretch of the imagination the safest option. Since you’re storing your money on a third party server or a cloud, you need to be able to fully trust the service you’re using. And even if you use a very reliable service that would never steal from you, there is always the risk of a hack or cyber attack. Therefore, you should always be cautious about using this option. Store cryptocurrencies on your computer using desktop software – Some companies that provide online services also have desktop versions of their software. Other companies only offer desktop versions. Technically, a desktop wallet and an online wallet work the same way. You should be able to buy and sell your digital currencies as you please and in most cases use them as methods of payment. A major difference is that this option is much safer since you are responsible for your own currencies and the availability is limited to your device. However, you always run the risk of having a computer that crashes or experiencing a hack aimed at your device. And if you lose coins that you’ve bought you can never get them back. 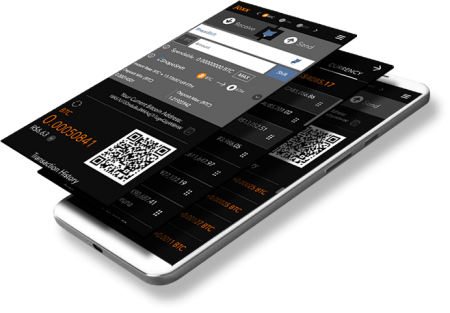 Store cryptocurrencies on your smartphone – Today, many have a need to keep their digital currencies on a smartphone or tablet, mostly to use them as methods of payment. Because of this, the market for cryptocurrency apps is huge. In general, this solution is practical, especially if you’re planning to spend your digital money. However, the apps are often limited compared to desktop versions and they are not nearly as safe. The second category of cryptocurrency wallets is hardware or physical devices that have been developed for this sole purpose. This option is considered the safest and most reliable. 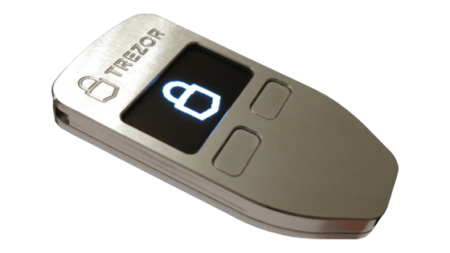 A hardware wallet works by you saving your key (the code that represents your cryptocurrency – it usually comes in two versions and you need both to access your money) on a device that looks similar to a USB stick. This type of storage is safe because you avoid all the risks and threats that the internet can pose. Most often, the hardware wallets are integrated with some form of software that lets you use and transfer your currencies. Paper storage is exactly what it sounds like – you store your digital currencies on a regular paper. Simply print your key on a piece of paper and keep it somewhere safe. Paper storage is usually done using QR codes so that they are easy to scan with your smartphone. Some people highly recommend this solution but we would suggest that you use it carefully. The issue with storing money on paper is obvious – paper can easily break and get lost. Because of this, we recommend that you combine paper storage with another safer wallet. The advantage of paper storage is that you avoid the digital aspect and all the risks and issues connected with the internet. An alternative way of paper storing cryptocurrencies is to save the keys in a text document on your computer, but it requires that your computer is safe from unauthorized access. One thing that sets cryptocurrency wallets apart is that none of them are compatible with every digital currency, and most of them only accept a few selected currencies. The biggest and most well-known wallets can usually only be used with the biggest currencies. The most common available cryptocurrencies are Bitcoin, Ethereum, and Dash. If you want to trade smaller digital currencies, you need to search for more specific wallets. Of course, this does not apply for many hardware wallets or paper storage, as both methods can be used for any digital currency. It is a very hard question to answer because it depends on a lot of factors. It is up to you to take the necessary steps to ensure your own safety, and if you do there is no reason why your digital currencies wouldn’t be safe. The main safety issue with digital currencies is that there is no way to get them back or restore them after they’ve been lost. Luckily, there are a few guidelines that you can follow to keep your cryptocurrencies safe. Only use reliable and trustworthy services that have a predominantly positive reputation online. You also need to check the security systems that the companies implement. Two-factor authentication and password protection are the absolute minimum safety requirements. Only use hardware from trustworthy developers that use proper safety systems. The risk of getting hacked is higher if you use low-quality hardware. If you store your cryptocurrencies on a computer, either in a text document or in a desktop software, you need to protect your computer properly. Make sure you have adequate firewalls, anti-virus protection, and a password-protected computer to deter unwanted access. Our last tip is to always keep copies and back-ups of your cryptocurrencies and to never store large amounts of digital currencies online. If you’re planning to use the cryptocurrencies as payment methods, we recommend that you keep a small amount online and the rest of your money saved somewhere else with high security. Don’t forget that more copies enhance the risk – be smart and careful. What is The Difference Between a Cryptocurrency Exchange and a wallet? 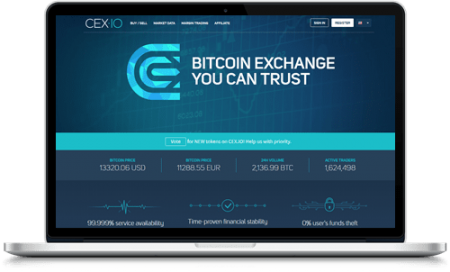 The biggest difference between a cryptocurrency exchange and a cryptocurrency wallet is that the first service is developed for trading purposes. You normally don’t use an exchange to store your digital currencies for a longer period of time. In fact, in some cases, you don’t even buy the currency at all. Instead, you speculate on its price to make quick money. A wallet, on the other hand, is used to store your cryptocurrencies and when you use a wallet you actually own the currency or the coins. You can, of course, also use a wallet for trading purposes but that is not what it’s intended for. A wallet for cryptocurrencies is a physical tool or a digital service that is used to store digital currencies. They come in many different shapes and forms and can be used for different currencies. It is important that you understand that using a wallet for digital currencies is different from trading digital currencies online but that they both involve high risk. You always need to be careful and should only use reliable services. checkmark3 Offers great educational trading material. checkmark3 The official partner of Juventus.